Brazing copper to copper, copper to brass, copper to steel, and brass to steel. 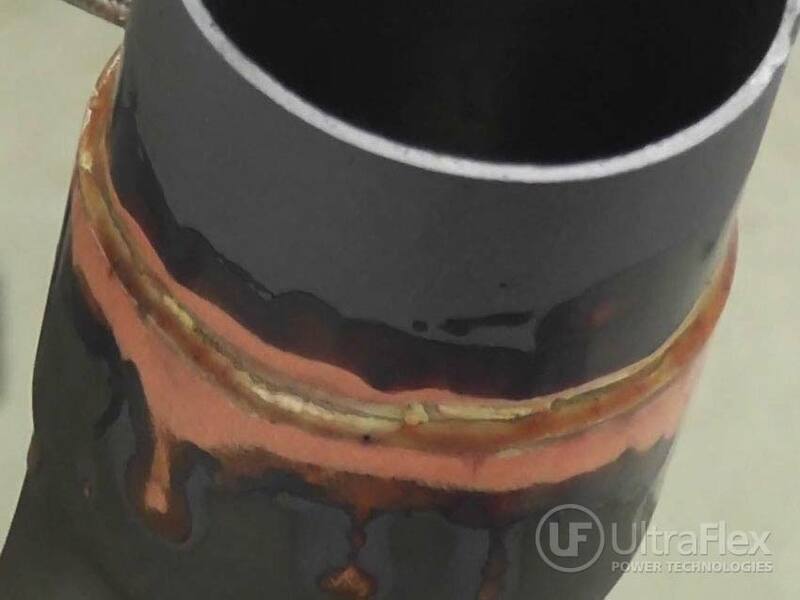 The recommended equipment for this brazing application is the UPT-M35/150 with the HS-35 heat station. Copper to Copper – copper pipe 2.14” (54.35mm) OD and 2.25” (57.15mm) OD inserted into each other, 0.06” (1.52mm) thick wall. 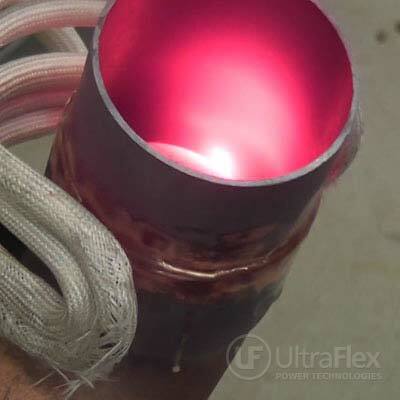 1” to 1.5” (25.4mm to 38.1mm) long heat zone. 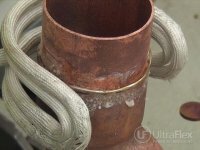 The full length of the pipe will vary. 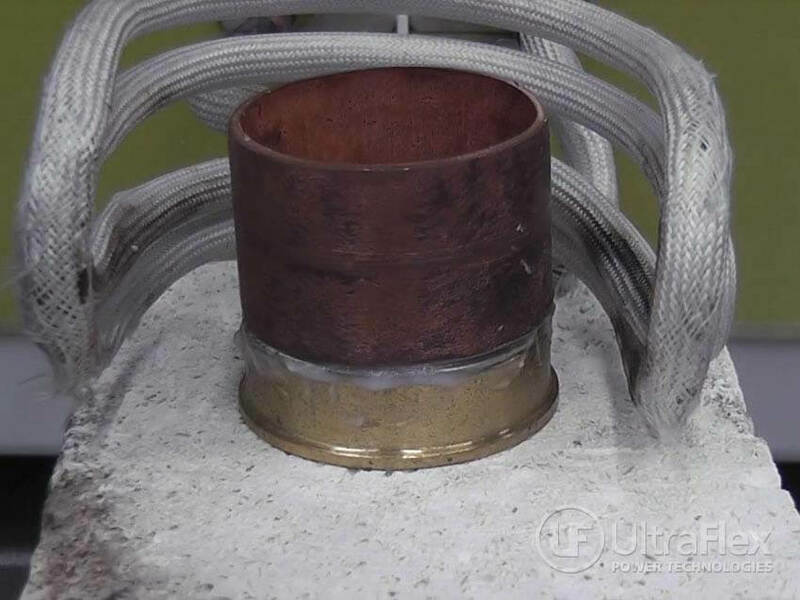 Test 1: This test was conducted with a 30.6 kW power output for the entire brazing cycle. 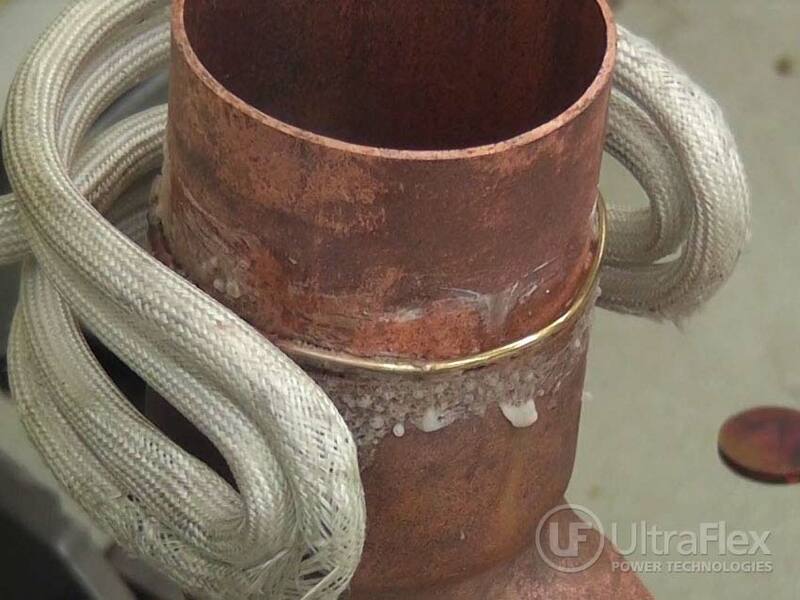 The full braze cycle took approximately 30 seconds. 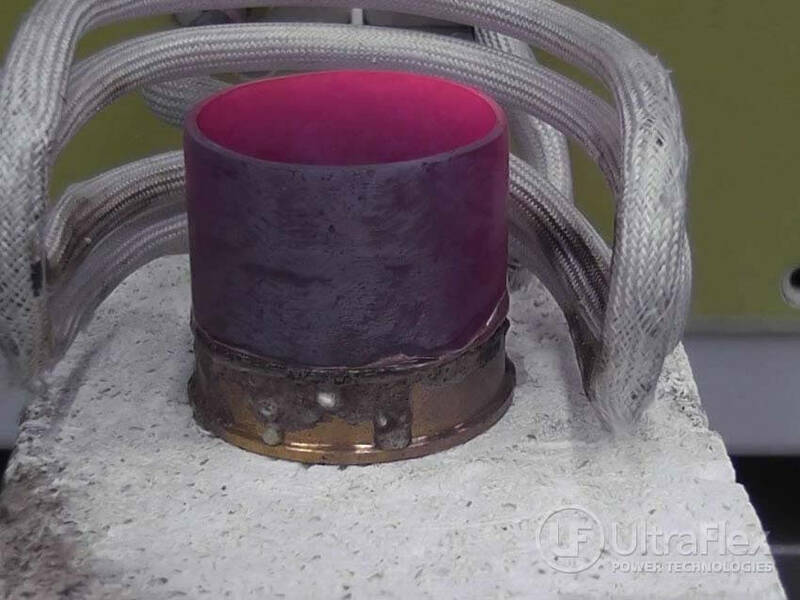 The part reached temperature on the inside of the coil in approximately 20 seconds. 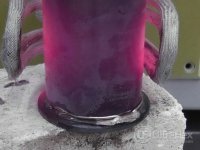 The part needs to be rotated to spread out the heat for even alloy flow. 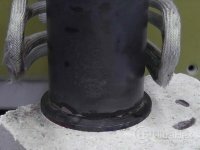 This can also be achieved by turning the power on and off or regulating the power to ensure that the part is not over heated. 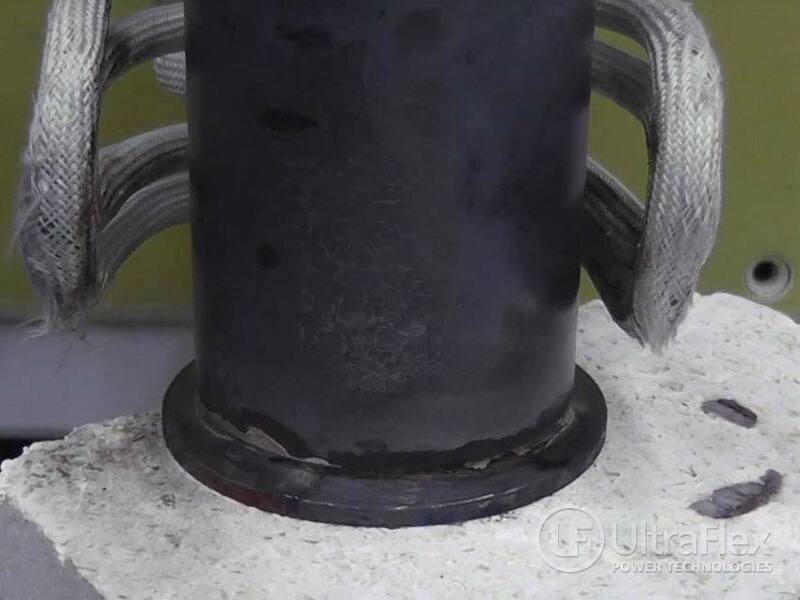 Test 2: This test was conducted with low power at the start and then raised to prevent damage to the part. The heat cycle was started with 7 kW power output then raised to 19.03 kW in a span of 30 seconds. The temperature was then lowered to 15.36 kW over the next 10 seconds. 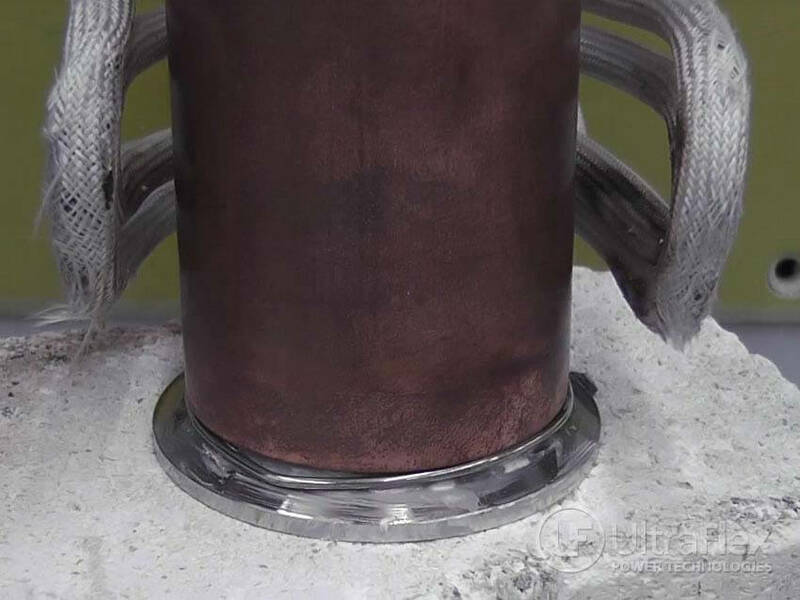 After the power was set to 15.36 kW, the system stayed on for 25 seconds to ensure full alloy flow. The full cycle time was 1 minute and 5 seconds. This time can be significantly reduced (estimated at 20 seconds or less) if the full power output is used. 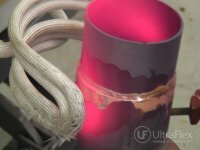 If full power is used from the beginning, the end user must monitor the heating to ensure no damage to the part occurs. 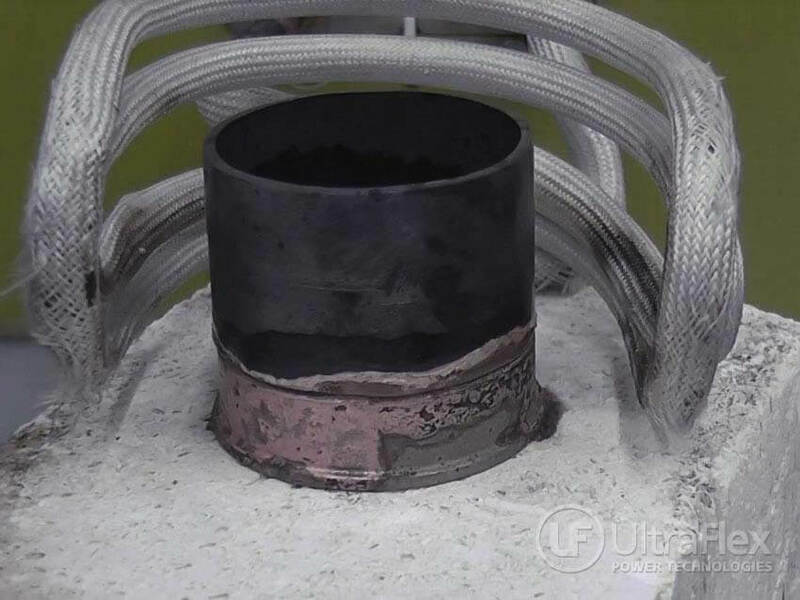 Test 3: This test was conducted with the power output starting at 16.21 kW to prevent overheating of the steel ring. The time is approximate due to the heat cycle being interrupted during the test (power was turned on and off). 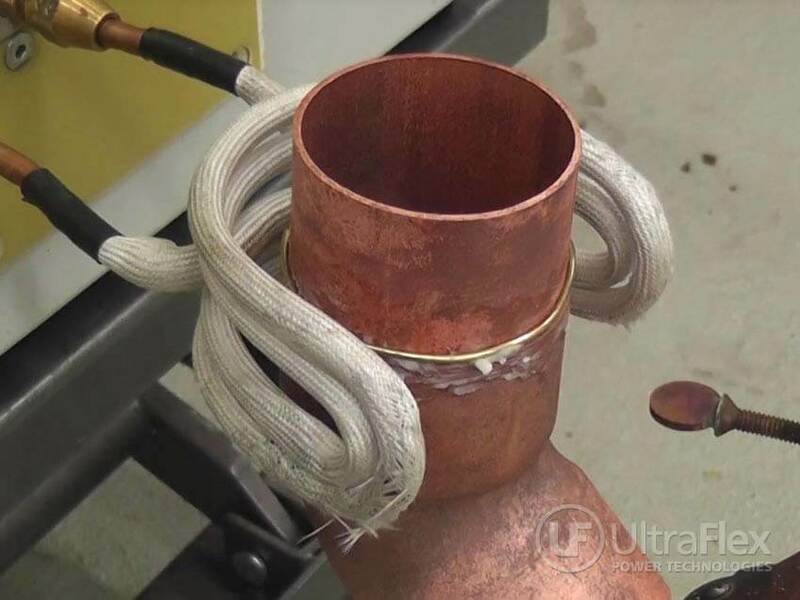 The coil was positioned slightly over the braze joint because steel heats up much faster than copper. The power was raised to 23.27 kW over the course of the test. 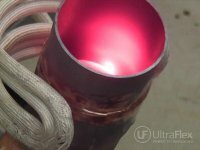 Brazing cycles can be reduced further by starting the cycle on higher power. Test 4: This test was conducted with a starting power of 7.39 kW and then raised to 14.93 kW. It was then lowered to 11.17 kW to prevent overheating of the steel ring or the edges of the brass. 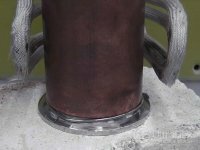 With each test done, the part needs to be rotated to allow even heating. For tests 2, 3, and 4, the power was reduced which resulted in longer heat times. 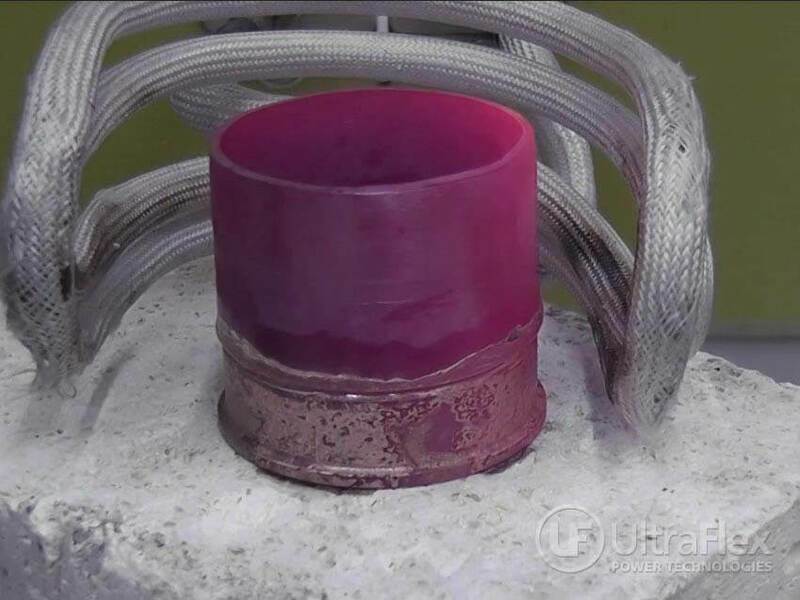 Since there was only one sample available for each test, the reduction in power was necessary to ensure the parts did not melt. With a handheld coil, the heat can easily be regulated and spread out by the end user. A foot switch is strongly recommended for operation.